I am reviewing this nice and cute diaper provided by 3W. I have been using this diaper for a few months before writing this review just to make sure I have fully tested the CD and to have a fair bit of review for this CD. 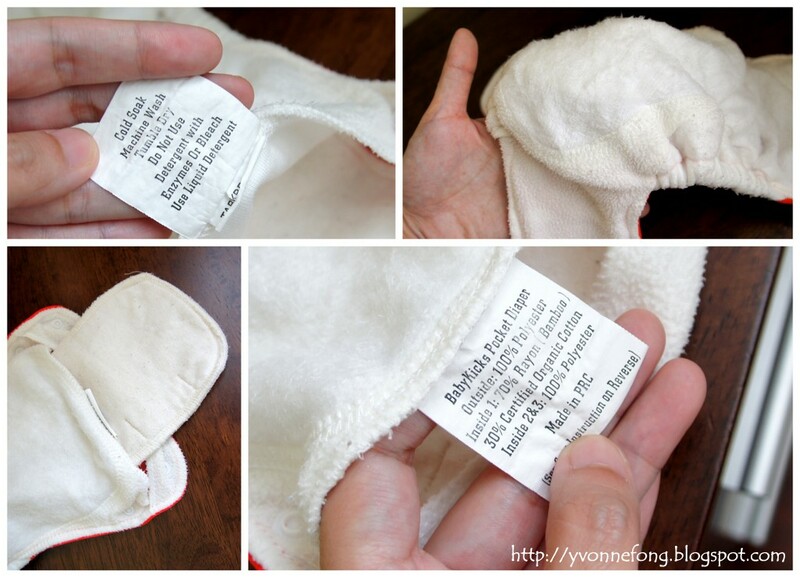 Air Gussets - which is made from fleece material which allows for air flow inside baby bump to prevent diaper rashes. When I first received the diaper via postage, it give me a "wow" effect.. which the color is striking.. and the feel of the material on the outer fabric is very soft and smooth..
Prewash - *** it just came one piece of cloth diaper without any packaging and instruction how to prewash it. so I just do my routine prewash 5 times before use in hot (wash dry wash dry) before using. Ease of Use - **** Side button/snaps system - this is my first side snapping system CD. I pretty love it as it look very trim and modern and is pretty easy to wear it on. 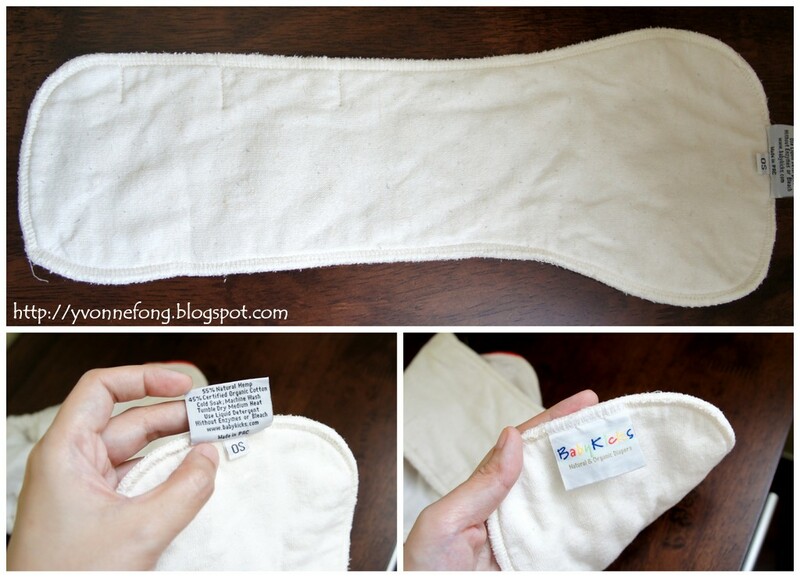 Absorbency - *** it can last 3 hours at least for my baby.. and is good for day use diaper. but what i not really like is the inner layer is not stay dry due to it is cotton material.. so I have to add on a stay dry liner so baby bum won't feel wet.. but other than that i am happy with the performance..
Fitting - ***** the overall cutting is big but fitting is just nice.. so far it doesn't leave any red marks on my baby tights due to its soft air gusset design. my baby is 8.5kg now on large setting. Quality - ***** the sewing workmanship is very good. after numerous washes it still look as new and it is still very soft. Overall - **** I love this diaper due to the design and trimness.. it look good and comfy for my baby..
baby Chloe modelling.. the white color part is the air cotton gusset..
A bit of the company background information for your information, 3W a Singapore-based company, which is distributing the BabyKicks brand of baby cloth diapers. 3W is a social enterprise that is working with volunteer staff, with the aim to promote the use of products which benefit people and the community. Babykicks is a family owned and operated business based in the U.S. Since October 2000, Babykicks has been dedicated to designing and making modern cloth diapers and baby accessories with the best natural and organic materials available, which are now available in over 15 countries. Step 3. comments on any product picture in Zerzula fb "on why you would like to try on this diaper"
What prizes the sponsor going to give away?? Get your own at Discount price!!! Free local surface shipping for your readers and the code is "FSSAP". Both codes would be prompted to the you on the check out page. Disclosure: I received this items from 3W for review — BabyKicks Organic Cotton and Hemp Cloth Diaper for free. I will not receive any compensation from Zerzula or 3W for your purchases using the mentioned discount code or along with this review. For the review on tops is merely my own personal review and experience of using Babykicks Organic Cotton & Hemp Cloth Diaper. In other words, this is my own opinion. Good luck and let's participate for this Give Away Contest!! !